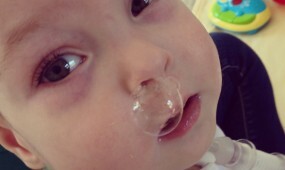 Babies are especially susceptible to developing upper respiratory infections that can cause coughs because they put everything in their mouths and are often around other young children who carry germs on unwashed hands. You can still help prevent your child from catching a cold or the flu by teaching her to wash her hands and keeping germ hotspots clean, boosting your child's immune system by encouraging her eat well, stay active and get enough sleep, and have her vaccinated against the seasonal flu. Mangosteen is a bright purple colour fruit. It is succulent, tangy and sweet. It is generally eaten raw and its taste and health benefits have made it a hot favorite among the consumers. Even mangosteen peel is consumed as it is rich in antioxidants. 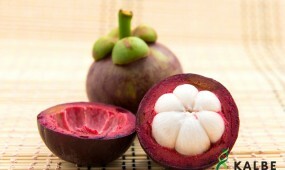 Let us have a deep look into the nutritional and health benefits of mangosteen. What is cough? What causes coughing? Coughing is an automatic reaction to try to clear your airways. The airway may be partially blocked by phlegm (mucus), smoke, chemicals that you breathe in or a foreign body. Everyone will cough occasionally to 'clear their throat'. Is it good to use medicine when child have sore throat? Sore throats are common at any age and can be one of the first signs of another illness, like a cold, the flu, or mononucleosis. They also can be caused by a strep throat infection, although this is rare in children younger than 2 years old.